The Janesville plant will cease production of medium-duty trucks by the end of 2009, and of the enormous Tahoe, Suburban and Yukon SUVs in 2010, or sooner, if market demand dictates. 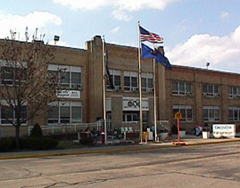 The plant had about 2,700 employees as of late 2007. In April, GM announced that because of soft demand for trucks and SUVs, it was eliminating one shift of production at the plant, resulting in the loss of more than 750 jobs. GM is closing three other plants in North America, one each in Canada and Mexico, and one in Moraine, Ohio.